He is currently a research scientist and serves as the director of Cardiovascular Physiology and Phenotyping Lab at Case Western Reserve University. 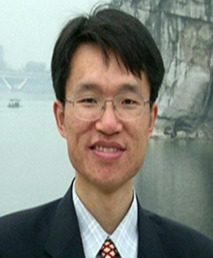 He received his Ph.D. from China Academy of Chinese Medical Science in 2003, after his postdoctoral training at Tsinghua University he worked for Peking University to establish non-human primate cardiovascular disease models for biomedical research and translational medicine from 2005 to 2011. His work focuses on cardiovascular physiology using state-of-the-art animal models for basic and translational medicine research. Robust and reliable disease models related to cardiovascular, urinary, and central nervous system have been established. These models include, but are not limited to, transverse aortic constriction, myocardial infarction, myocardial ischemia/reperfusion injury, heart failure,middle cerebral artery occlusion, kidney ischemia/reperfusion injury.He closely collaborates with investigators from Case Cardiovascular Research Institute, Institute for Transformative Molecular Medicine and Harrington Heart & Vascular Institute to bring together researchers of multiple disciplines to link physiologic and pathologic function at the in vivo. 1. Rongli Zhang, Douglas T Hess, Zhaoxia Qian, Alfred Hausladen, Fabio Fonseca, Ruchi Chaube, James D Reynolds, Jonathan S Stamler. Hemoglobin βCys93 is essential for cardiovascular function and integrated response to hypoxia. Proceedings of the National Academy of Sciences, 2015; 112(20): 6425–6430. (Higlighted in CWRU media, Science Daily, Health Canal, Medical News Today, MedicalXpress, Newswise and EurekAlert). Commentary: Shathiyah Kulandavelu, Wayne Balkan, Joshua M. Hare. Regulation of oxygen delivery to the body via hypoxic vasodilation. Proceedings of the National Academy of Sciences, 2015; 112(20): 6254–6255. 4. Xudong Liao, Rongli Zhang, Yuan Lu, Domenick A. Prosdocimo, Panjamaporn Sangwung, Lilei Zhang, Guangjin Zhou, Hisashi Fujioka, Fang Ye, Mariana G. Rosca, Charles L. Hoppel, P. Christian Schulze, E. Dale Abel, Daniel P. Kelly, Mukesh K. Jain. Transcriptional Control of Cardiac Mitochondrial Homeostasis by KLF4. Journal of Clinical Investigation, inpress, July, 2015. 5. Priti Anand, Rongli Zhang, Puneet Anand. A promising new therapeutic target for heart failure (2015). J Heart Cardiol, 1(2): 1-2. 8. Lulu Sun, Chao Chen, Beibei Jiang, Yanli Li, Qiuping Deng, Min Sun, Xiangbo An, Xiao Yang, Ying Yang, Rongli Zhang, Yao Lu, De-Sheng Zhu, Yingqing Huo, Gen-Sheng Feng, Youyi Zhang, Jincai Luo. Grb2-associated binder 1 is essential for cardioprotection against ischemia/reperfusion injury. Basic Research in Cardiology, 2014; 109(4):420. 9. Mohammad A. Shatat, Hongmei Tian, Rongli Zhang, Gaurav Tandon, Andrew Hale, Jason S. Fritz, José Martínez-González, Cristina Rodríguez, Guangjin Zhou, Hunter C. Champion, Mukesh K. Jain, Anne Hamik. Endothelial Krüppel-Like Factor 4 modulates pulmonary arterial hypertension. Am J Respir Cell Mol Biol, 2014; 50 (3): 647-53. 11. Priti Anand, Jonathan D. Brown, Charles Y. Lin, Jun Qi, Rongli Zhang, Pedro Calderon Artero, M. Amer Alaiti, Jace Bullard, Kareem Alazem, Kenneth B. Margulies, Thomas P. Coppola, Madeleine Lemieux, Jorge Plutzky, James E. Bradner, Saptarsi M. Haldar. BET bromodomains mediate transcriptional pause release in heart failure. Cell, 2013, 154, 569–582. 12. Yan Xiong, Zhenqian Hu, Xiaofan Han, Beibei Jiang, Rongli Zhang, Xiaoyu Zhang, Yao Lu, Chengyang Geng, Wei Li, Yulong He, Yingqing Huo, and Masabumi Shibuya, Jincai Luo. Hypertensive stretch regulats endothelial exocytosis of Weibel-Palade bodies through VEGF receptor 2 signaling pathways. Cell Research, 2013, 23 (6):820-834. 13. Shijian Zhang, Chujun Liu, Mingming Shi, Lei Kong, Jiayu Chen, Weizhen Zhou, Xiaotong Zhu, Peng Yu, Jue Wang, Xinzhuan Yang, Ning Hou, Zhiqiang Ye, Rongli Zhang, Ruiping Xiao, Xiuqin Zhang, Chuanyun Li. RhesusBase: a Knowledgebase for the monkey research community. Nucleic Acids Research, 2013; 41: D892-D905, doi:10.1093/nar/gks835. 14. Hong Shi, Baiyang Sheng, Feng Zhang, Chunying Wu, Rongli Zhang, Junqing Zhu, Kui Xu, Youzhi Kuang, Stephen C. Jameson, Zhiyong Lin, Yanming Wang, Jun Chen, Mukesh K. Jain, G. Brandon Atkins. Kruppel-like factor 2 protects against ischemic stroke by regulating endothelial blood brain barrier function. Am J Physiol Heart Circ Physiol, 2013; 304: H796–H805. 15. Sanchita Basu, Dinesh Kumar Srinivasan, Ke Yang, Hema Raina, Suhanti Banerjee, Rongli Zhang, Steven A. Fisher, Aaron Proweller. Notch Transcriptional control of vascular smooth muscle regulatory gene expression and function. The Journal of Biological Chemistry, 2013; 288 (16):11191-202. 16. Shila Gilbert, Rongli Zhang, Lee Denson, Richard Moriggl, Kris Steinbrecher, Noah Shroyer, James Lin, Xiaonan Han. Enterocyte STAT5 promotes mucosal wound healing via suppression of myosin light chain kinase-mediated loss of barrier function and Inflammation. EMBO Molecular Medicine, 2012; 4(2):109-124. 18. Qionglin Liang, Xiaoping Liang, Yiming Wang, Yuanyuan Xie, Rongli Zhang, Xi Chen, Rong Gao, Yijun Cheng, Jun Wu, Qingbo Xu, Qingzhong Xiao, Xue Li, Shufeng Lv, Xuemei Fan, Honghyang Zhang, Qingli Zhang, Guoan Luo. Effective components screening and anti-myocardial infarction mechanism study of the Chinese medicine NSLF6 based on system to system mode. Journal of Translational Medicine, 2012; 10: 26. 19. Xiuqin Zhang *, Rongli Zhang *, Susanne Raab, Wen Zheng, Jue Wang, Na Liu, Tiangang Zhu, Lifang Xue, Zhentao Song, Jiaming Mao, Kaitao Li, Huiliang Zhang, Yan Zhang, Chao Han, Yi Ding, Hui Wang, Ning Hou, Yuli Liu, Shujiang Shang, Chuanyun Li, Elena Sebokova, Heping Cheng, Paul Huang. Rhesus macaques develop metabolic syndrome with reversible vascular dysfunction responsive to pioglitazone. Circulation, 2011; 124:77-86. 20. Yao Lu, Yan Xiong, Yingqing Huo, Jingyan Han, Xiao Yang, Rongli Zhang, Desheng Zhu, Stefan Klein-Heßling, Jun Li, Xiaoyu Zhang, Xiaofan Han, Yanli Li, Bin Sheng, Yulong He, Masabumi Shibuya, Gen-Sheng Feng, Jincai Luo. Grb-2–associated binder 1 (Gab1) regulates postnatal ischemic and VEGF-induced angiogenesis through the protein kinase A – endothelial NOS pathway. Proceedings of the National Academy of Sciences, 2011; 108(7):2957-2962. 21. Peidong Han, Wenfeng Cai, Yanru Wang, Chi Keung Lam, Demetrios Arvanitis, Vivek Singh, Shan Chen, Huilang Zhang, Rongli Zhang, Heping Cheng, Evangelia Kranias. Catecholaminergic induced arrhythmias in failing cardiomyocytes associated with human HRCS96A variant overexpression. Am J Physiol Heart Circ Physiol, 2011; 301:H1588-H1595.